A good back cistern, but I have to agree the packaging could be better. The internal parts are just placed inside to roam around during transit. This isn't the fault of the delivery companies, more Grohe for not locking down the components during packing. Mine arrived in perfect condition. At this time have taken delivery of the product ready for installation in forthcoming building project. However, very impressed with service and assistance and feel confident that it will be as good as anticipated when installed in new en-suite. 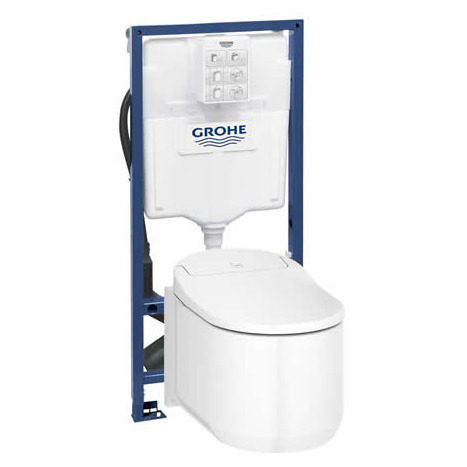 The Grohe Rapid SL WC 1.13m for Grohe Sensia Arena and IGS shower Toilets is Grohe's dedicated wall hung frame for its shower toilets. 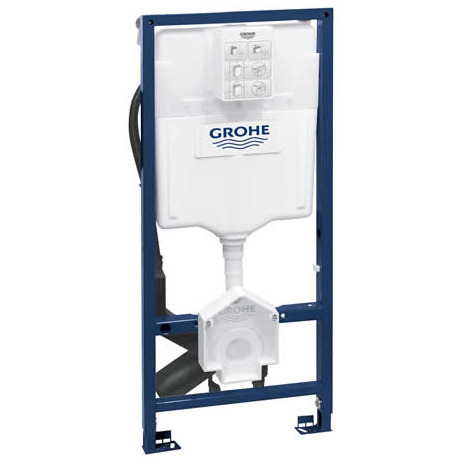 The integrated concealed cistern is able to deliver dual flush 6/3 Litres as well as a single 6 Litre flush. Rapid SL frames have benefits for the user as well as a bathroom fitter. 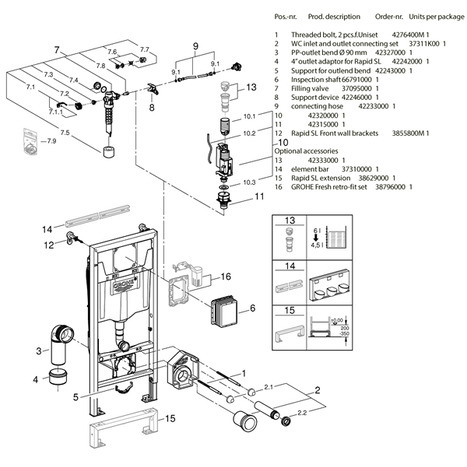 Faster to install and more robust than conventional systems. The Rapid frame can hold up to 400Kg in weight which is more than sufficient for both domestic and commercial environments. The cistern frame is pre-assembled so it's out of the box and on to the wall. The concealed cistern is also pre-fitted in to the frame. Once the frame is fixed to the wall, you simply tile over leaving only a flush plate visible on the wall. Access for maintenance to the internals of the cistern is done simply by removing the flush plate. The set also includes fixing bolts for the WC pan and brackets to fix the frame to the wall. 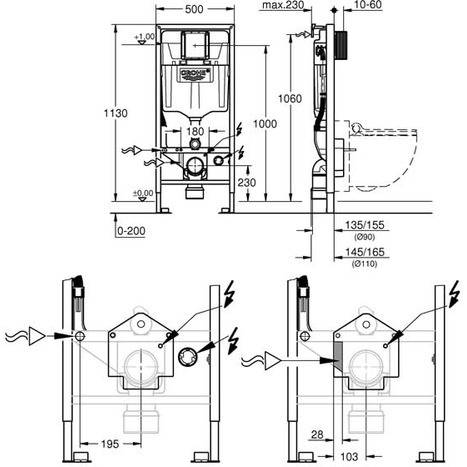 At the 1.13m height, the flush plate can be installed in either a horizontal or vertical orientation.